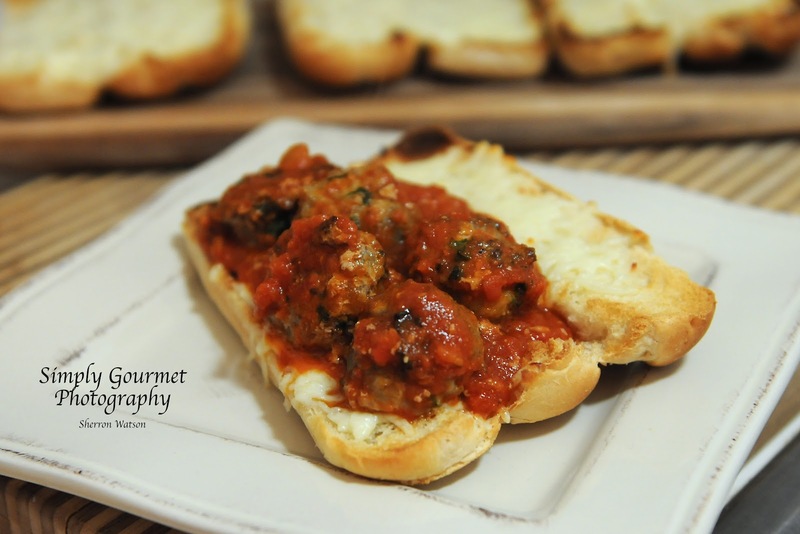 Who doesn't love a good meatball sandwich? We do, that is for sure!!! On this particular night I was in the mood for something hot, cheesy and filling. 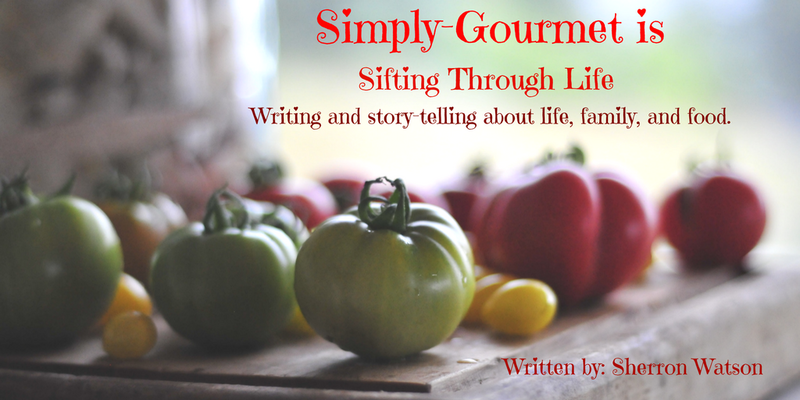 I had all of the ingredients and together we made a delicious and fairly quick dinner. I always love finding ways to sneak healthy veggies into my kids meals. They are pretty good about eating most things but we still struggle with the veggies with the 5 year old. She has been our only kid that refuses to eat something based on what it looks like. Go figure! 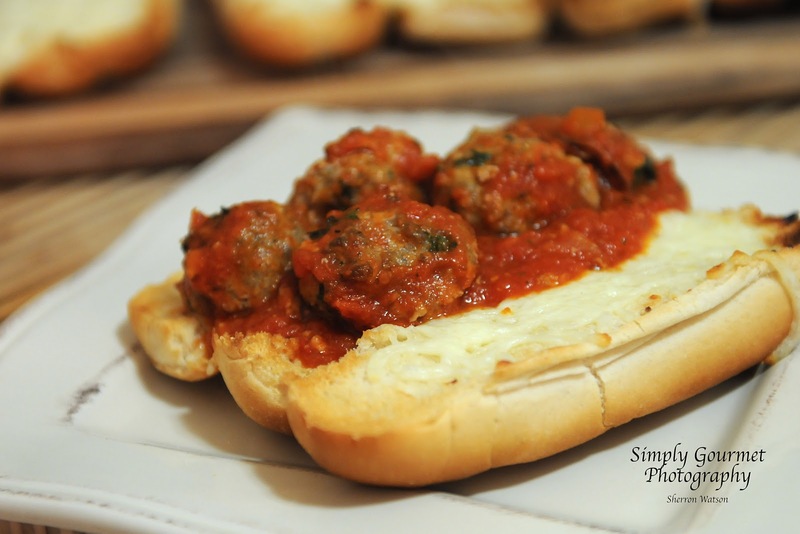 We often will serve these sandwiches to a large crowd because I can keep the meatballs warm in a crock pot and have everything set up buffet style. Time consuming? Possibly a bit to make the meatballs, but I used a cookie scoop and they went quite fast. I melted the cheese onto each bun in the broiler and this step can be skipped if you are in a hurry. 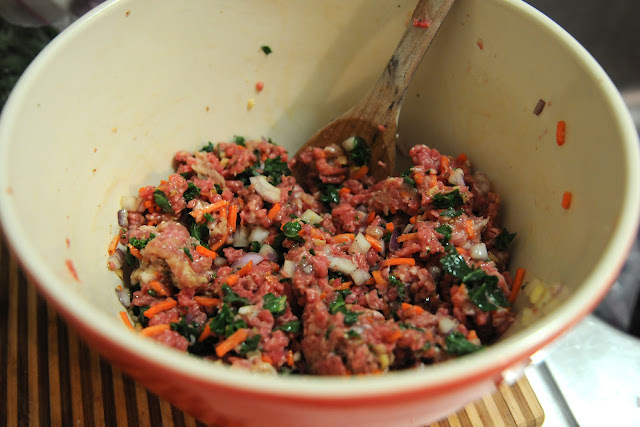 Go on and live a little…experiment with your meatballs and SNEAK in your veggies. No one will ever know…he he he ENJOY! 1. Combine all of the ingredients into a large bowl. 2. 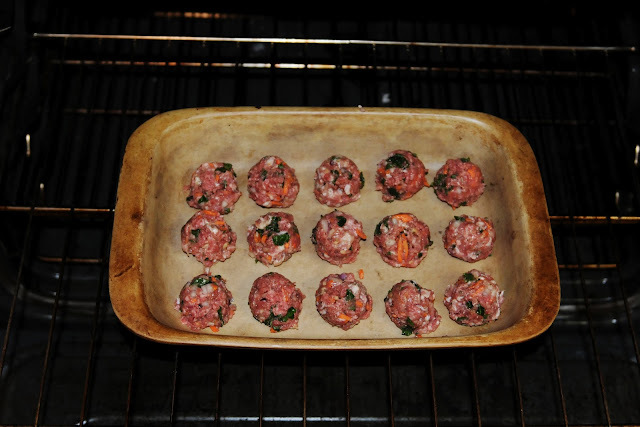 Using a cookie scoop or your hand, create your meatballs and put them onto a cookie sheet or casserole pan. Use something with a lip to keep the juices from running all over your oven. 3. Bake meatballs at 400 degrees for 20 minutes. 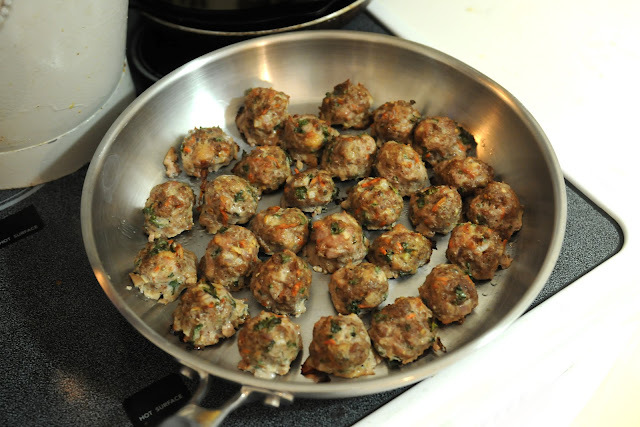 Remove meatballs from pan and put into a large saute pan. Add your sauce and simmer for 15 minutes. 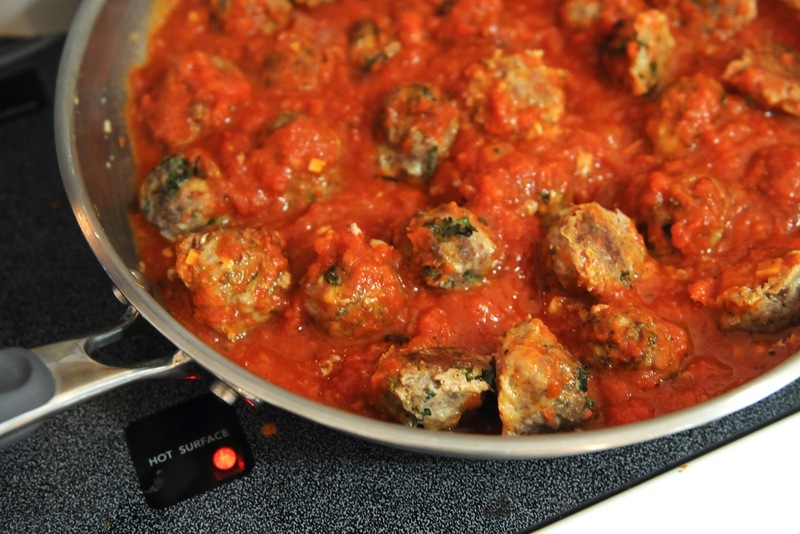 While meatballs are simmering in sauce, prepare your buns. Turn you oven to broil, lay cheese on each opened Kaiser roll and broil until cheese is bubbly and melted. Remove from oven. 4. Serve meatballs on sandwiches or have your guest build their own. To make the meatball making go faster, I pat the meat out in a 1 inch deep rectangle, then slice into 1 inch squares. Roll each square into a ball and cook as you want. Each meatball will then be an equal size. MommaMary, that is a great idea! Thanks for the suggestion. Thanks MommaMary..that is an excellent tip. Looks soooo yummy Forest picked this for dinner tonight. I hope mine looks as good as yours. I am so glad that you and the kids enjoyed these yummy meatballs!